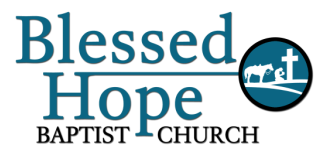 Welcome to the website of Blessed Hope Baptist Church of Burns, Wyoming. We want to invite you and your family to come and worship our Lord together as He continues growing this church as a thriving place of worship and service to Him. Come and be a part of our church family. As pastor, I would count it a great privilege if I could be of help to you in any way, please do not hesitate to contact me. We are looking forward to what our Lord will do. Come and worship our Lord in choruses, songs, hymns and Bible preaching. Our desire is for you to know Christ and to worship Him. From my family to yours, WELCOME!